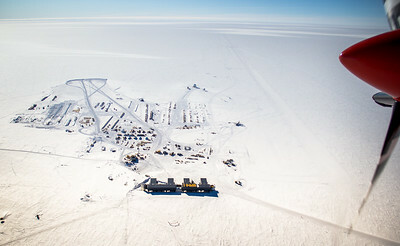 This is the view looking down at the south pole. 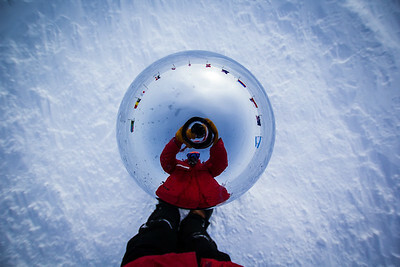 This is the mirrored glob that sits on top of the ceremonial south pole. 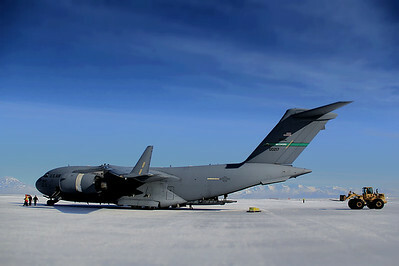 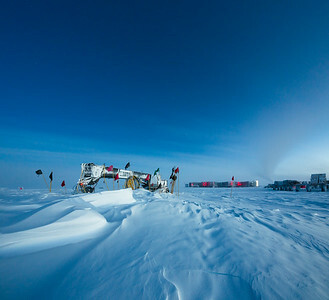 This is the IceCube Neutrino Observatory located at the south pole. 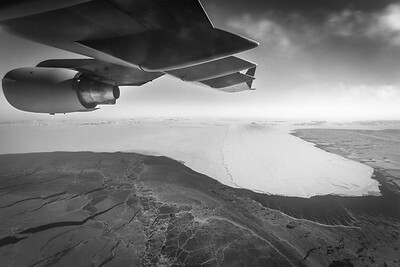 An antarctic glacier spilling into the ocean. 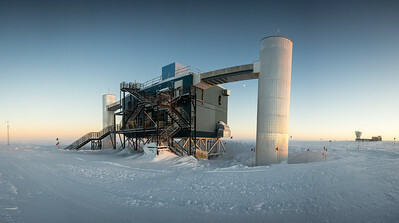 This is the main entrance to the South Pole Station. 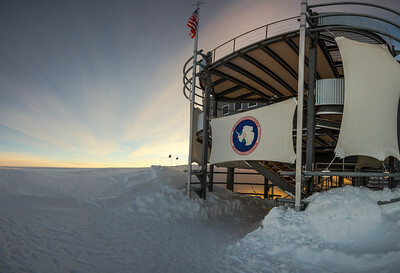 The south pole telescopes silhouette sits on the horizon during a long sun set. 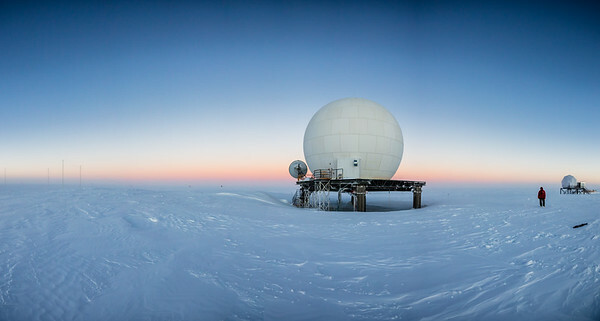 A satellite dish sits inside this protective dome.